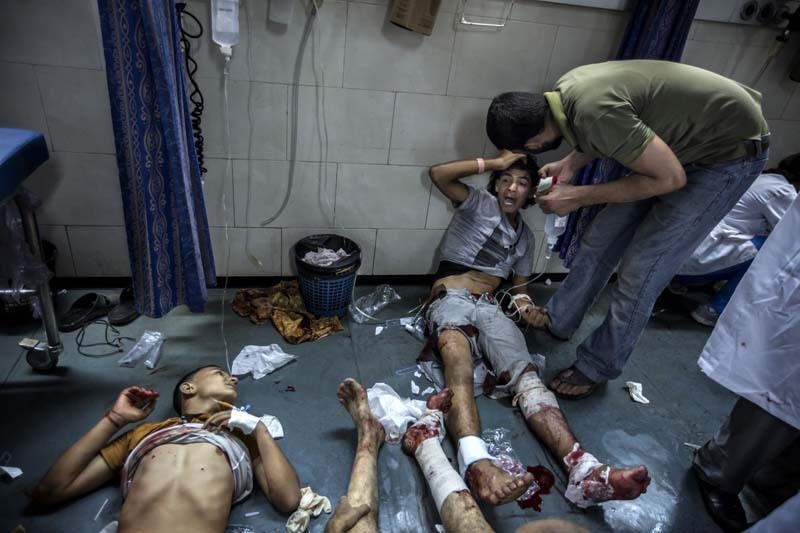 The thunder of cannons and thumping of mortars are constantly heard outside Shifa hospital in Gaza City. A doctor in the emergency room stops in mid motion. Listens. And start to shout out orders. Beds are rolled out of the room to make place and after a few seconds ambulances arrive with injured and dead from the latest large Israeli attack. The space in front of the hospital is soon crammed with grieving people and ambulances. Fifteen are immediately pronounced dead and carried to the morgue. Many more of the injured die before the night is over.